At no other time of the year do most American families gather together for food, family, fellowship, and fun than at the holiday season. We take off work to travel across the country or across town to gather for memorable moments and to eat delicious food, renew relationships, and watch endless amounts of football. If you’re lucky, you’ll even be able to listen to grandma or grandpa share stories from the past. Stories about “How things used to be…” back in their day. Sometimes, not everyone can make it home though. You may have a loved-one serving in the Armed Forces or you may have an aging parent or grandparent who can no longer make the trip. And what about friends or family members in care homes? Unfortunately, the holiday season can also be a time of loneliness for those who aren’t able to participate in family gatherings. Reach out to them and share a moment of appreciation and affection. While we might be drawn into the gift buying of the season, what most people really want and need is to know that they are loved, accepted, and remembered. Whether it’s via some fancy-shmancy technology or in a sit-down, face-to-face conversation, grandparents can be particularly effective in showing their grandchildren how much they mean to them. Research with grandparents highlights seven dimensions of grandparenting that bring the generations together. Here is a brief description of each. Lineage Work: This refers to grandparents’ efforts to take their grandchildren back in time through stories and experiences from the past. Mentoring Work: Is the process of teaching, coaching, or demonstrating to grandchildren skills or knowledge that the grandparent has learned over their lifetime. Spiritual Work: Refers to grandparents’ willingness to guide, comfort, and console grandchildren and to nurture them emotionally and in good spirit. Character Work: Is the process of helping grandchildren learn good character and the importance of being an ethnical member of society. Recreation Work: Refers to the fun and recreational activities that grandparents participate in with grandchildren; from board games to football games and everything in between. Family Identity Work: Refers to grandparents sharing with grandchildren what it means to be a member of their particular family. Investment Work: Is the effort that grandparents make to help grandchildren be successful in the future; from sharing resources to helping them find employment to gaining access to educational opportunities. 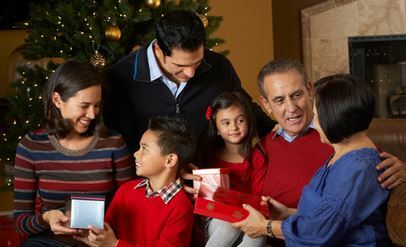 During your family gatherings this season, consider the impact and importance of bringing the generations together. By including everyone, all involved (including the parents in the middle generation) will benefit from developing stronger ties with each other. Writer: James S. Bates, PhD, Assistant Professor, Field Specialist, Family Wellness, Ohio State University Extension. Reviewer: Lisa Barlage, Extension Educator, Family and Consumer Sciences, Ohio State University Extension. As families gather, embrace the opportunity to interact with older Boomers and Traditionalists–grandparents.